Home » Historical Gaming » Dux Britanniarum – Lardies best yet? 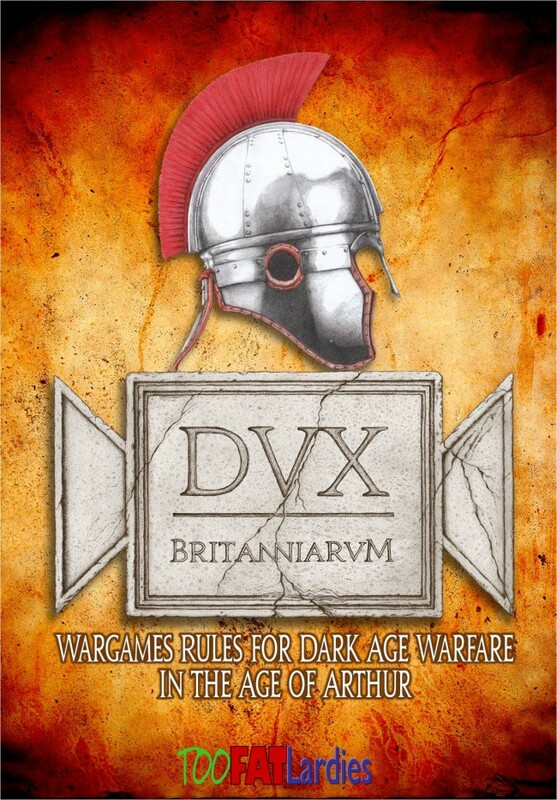 Today I picked up my copy of Dux Britanniarum, the new Dark Age rules from Too Fat Lardies. Following my interview with Richard Clarke in the last podcast I was really looking forward to these rules, but now that I have them, I am completely blown away. I thought that the 3rd edition of I Ain’t Been Shot Mum was a well produced set of rules, but these are a step up again. The rulebook is perfect bound, softback, and 92 pages long. The quality of the rulebook is wonderful – full colour, glossy pages complete with some wonderful artwork from Coral Sealey. Unlike some other books, Dux Britanniarum is not a picture-heavy book. There are several drawings of maps, a few pictures of models and sixteen illustrations of how the rules work, but the majority of the book is actually written rules, so you are getting great value for money, without the page count being artificially raised with lots of pictures. Don’t get me wrong, the rulebook looks great, but is much more text-heavy than several I have seen recently. Alongside the book, the rules also come with a pack of cards which are of very high quality – much better than what they produced for IABSM, and better than the cards that came with Muskets & Tomahawks. All together, the combined package is simply very, very good indeed – I can’t wait to get these out on the table. 2 Comments on Dux Britanniarum – Lardies best yet? Played DUX for the first time on Sunday…Wow I was impressed. A very highly recommended set of skirmish rules.